Married: 21 Mar 1871 HRH Princess Louise Caroline Alberta, VA, CI, GCVO, GBE, DGStJ, (b. 18 Mar 1848; dsp. 3 Dec 1939), 4th dau. of Victoria, Queen of Great Britain, by her husband HRH Prince Albert of Saxe-Coburg and Gotha. No issue. Note: Member of Parliament (Liberal) for Argyllshire 1868-78 and for Manchester South (Liberal Unionist) 1895-1900; Knight of the Thistle 1871; Privy Councillor 1875; GCMG 1878; Governor-General and Commander-in-Chief of Canada 1878-83; Governor and Constable of Windsor Castle 1892-1914; Lord Lieutenant of Argyll 1900-14; GCVO 1901; Knight of the Garter 1911. 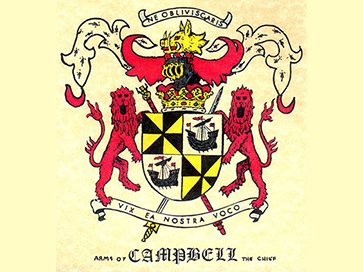 CAMPBELL, JOHN GEORGE EDWARD HENRY DOUGLAS SUTHERLAND, Marquess of LORNE and 9th Duke of ARGYLL, governor general and author; b. 6 Aug. 1845 in London, England, eldest son of George Douglas Campbell, Marquess of Lorne, and Lady Elizabeth Georgiana Sutherland-Leveson-Gower; m. 21 March 1871, in Windsor, England, Louise Caroline Alberta, Duchess of Saxony; they had no issue; d. 2 May 1914 in Cowes, England. P. B. Waite, “CAMPBELL, JOHN GEORGE EDWARD HENRY DOUGLAS SUTHERLAND, Marquess of LORNE and 9th Duke of ARGYLL,” in Dictionary of Canadian Biography, vol. 14, University of Toronto/Université Laval, 2003–, accessed October 11, 2018, http://www.biographi.ca/en/bio/campbell_john_george_edward_henry_douglas_sutherland_14E.html.